Please see below for our latest news. For additional information, please contact us at info@kelso.com. Kelso is pleased to announce that on December 21, 2018, Oasis Outsourcing closed the transaction to sell the Company to Paychex, Inc. Oasis is the largest privately held Professional Employer Organization in the U.S., serving small-and-medium sized businesses in all 50 states and Puerto Rico. Oasis primarily provides full-service payroll administration, employee benefits plan management, workers' comp insurance, and risk management, while also offering other ancillary services such as employee lifecycle management. 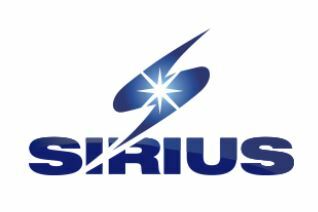 The Company serves over 8,400 clients and over 265,000 Worksite Employees across a wide range of industries. Kelso is pleased to announce that on October 31, 2018, Ajax Resources closed the sale of substantially all of its assets to Diamondback Energy. Ajax is an exploration and production company focusing on oil and gas development in the Permian Basin. The Company was formed in 2015 specifically to acquire certain Permian assets from W&T Offshore. Ajax operates across ~25,500 acres in Martin, Andrews, Dawson, and Gaines counties in the Northern Midland Basin. Kelso, in conjunction with KSN member Forrest Wylie, developed a partnership solution for a motivated seller that resulted in an attractive valuation in a depressed oil price environment. Since Kelso’s initial investment in October 2015, the team successfully realized numerous key elements of our operationally-focused investment thesis – validation of core geology across the acreage position, delineation of “stacked pay” potential and improved drilling and completion efficiencies – all of which culminated in a transaction to sell the business to a best-in-class Permian Basin operator at a premium multiple. Kelso and the Ajax management team expect to continue to pursue new acquisition opportunities together following the closing of the transaction. Kelso is pleased to announce that on September 18, 2017, through an investment in Foundation Consumer Healthcare (“Foundation”), we signed a definitive agreement to purchase the assets of Plan B One-Step (“Plan B”) from Teva Pharmaceutical Industries Ltd. (“Teva”). As part of the transaction, Kelso partnered with Juggernaut Capital Partners (“Juggernaut”), the current owner of Foundation. Plan B is the market leading emergency contraceptive (“EC”) brand and the #1 overall selling OTC SKU in the U.S. Since receiving FDA approval in 1999 and full OTC approval (in aisle with no age restriction) in 2013, Plan B has grown to be synonymous with the EC category, selling ~4 million units annually at a retail price of ~$49. As part of the transaction, Foundation acquired Teva’s Value Brands (Take Action, Aftera and Next Choice). The Value Brands along with Plan B (collectively, the “Plan B Franchise”) represent > 90% market share in the EC category. Kelso is pleased to announce that on August 28, 2017, Eagle Foods (“Eagle”) completed the acquisition of Dale & Thomas Popcorn, LLC and Subsidiaries ("Popcorn Indiana"). Popcorn Indiana is one of the leading brands in the ready-to-eat ("RTE") popcorn category and increases Eagle's scale and importance in the high growth RTE popcorn category. Similar to G.H. Cretors, Popcorn Indiana has a rich brand heritage, named after the town of Popcorn, Indiana, and is one of the most recognizable brands in the category. Strategically, Popcorn Indiana complements Eagle's G.H. Cretors brand well and adds considerable distribution and ACV in a number of grocery channels where G.H. Cretors does not currently have a presence. From a product perspective, Popcorn Indiana also complements G.H. Cretors with core SKUs in Kettle and White Cheddar which add to the strong G.H. Cretors offering of The Mix, a 50/50 caramel & cheese product. The Eagle management team's expertise in the salty snack category will also be augmented by the retention of high quality Popcorn Indiana executives. We are excited about adding Popcorn Indiana to Eagle and continuing to grow the Eagle platform organically and through strategic acquisitions. Harbor Community Bank Signs Agreement to Merge with CenterState Banks, Inc.
Kelso is pleased to announce that on August 14, 2017, Harbor Community Bank ("Harbor") signed a definitive agreement to merge with CenterState Banks, Inc.
HAMILTON, Bermuda--(BUSINESS WIRE)-- Premia Holdings Ltd. (“Premia” or “the Company”), a newly-formed property & casualty (“P&C”) insurance and reinsurance group focused on providing runoff solutions, announced today that it has completed a $510 million initial capital raise. 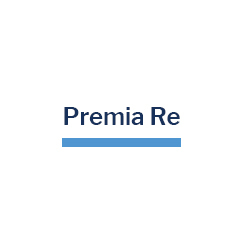 The formation of Premia represents one of the largest capital raises ever focused on the P&C runoff market and immediately establishes Bermuda-based Premia as a significant market participant. Premia was founded and will be led by reinsurance industry veteran Bill O’Farrell, who will serve as Chief Executive Officer. 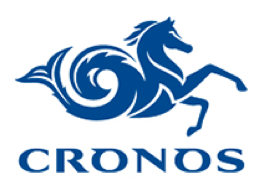 The founding investors include Kelso & Company (“Kelso”), a leading private equity firm, its co-investors and an affiliate of Arch Capital Group Ltd. (“Arch”), a leading insurance and reinsurance group. In addition to its equity investment, Arch will serve as a key strategic reinsurance partner, allowing Premia to compete on the largest global runoff transactions. The remainder of the capital comes from other institutional investors, the Premia management team and senior members of Arch. Kelso Fund IX Announces Eagle’s Acquisition of Cornfields, Inc.
Kelso is pleased to announce that on August 5, 2016, Eagle Family Foods Group LLC (“Eagle”) signed a definitive agreement to acquire Cornfields, Inc. (“Cornfields” or the “Company”). Cornfields will be owned 100% by Eagle at closing. Cornfields is a family-owned manufacturer of Ready-to-Eat (“RTE”) branded and private label popcorn and other snacks. The Company’s G.H. Cretors brand is a unique-tasting, RTE popcorn brand that was launched in 2009 and accounts for 52% of total Company net sales. Eagle and Kelso were selected as the acquirer of choice as a strategic partner who could help grow Cornfields into a leading player in the RTE popcorn category and be good stewards of the G.H. Cretors brand and the Cretors family name. Kelso is pleased to announce that on June 30, 2016, we signed a definitive agreement to acquire Fastener Holdings, Inc. (“SouthernCarlson” or the “Company”). SouthernCarlson is a leading national distributor of fastening and packaging products and supplies across 34 states. 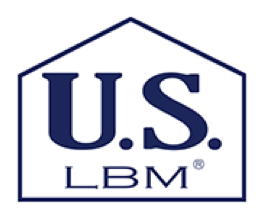 The Company serves contractors, dealers, retailers and manufacturers in construction and industrial end markets through its network of 140 retail locations and 15 distribution centers. SouthernCarlson combines industry-leading product availability and expertise with a value-added services offering that includes tool repair services, a tool loan program, national account management and dealer category management. The Company has completed seven acquisitions since January 2013 as part of a roll-up strategy to create the first fastener distribution business with national scale. 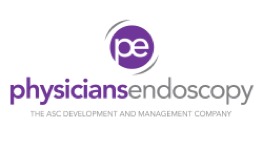 Physicians Endoscopy is a developer, owner and operator of single-specialty GI ASCs. The Company has a diverse footprint of 42 ASCs nationwide, with significant density in the Northeast and Midwest. PE invests in ASCs as both a majority and minority owner alongside physician and hospital partners. Kelso is pleased to announce that on January 14, 2016, we completed the sale of Helios to OptumRx, Inc., a subsidiary of UnitedHealthcare. Helios provides best-in-class management of pharmacy benefits, durable medical equipment, home health care, and other ancillary services for workers’ compensation and auto no-fault insurance companies. Kelso invested in Helios in October 2013 to fund the merger of Progressive Solutions and PMSI, creating the industry-leading workers’ compensation pharmacy benefit manager (“PBM”). Kelso’s healthcare services team had identified pharmacy benefit management as an attractive investment opportunity in early 2013, with a focus on workers’ compensation due to the enhanced margin profile and value-add capabilities of businesses operating in the sector. Kelso proactively approached Progressive Solutions to form a partnership and pursue an acquisition of PMSI as part of an auction process. Synergies generated by the transaction allowed Kelso and Progressive to win a competitive auction while investing in the combined business at an attractive pro forma purchase multiple. Kelso is pleased to announce that on August 31, 2015, Ajax Resources, LLC (“Ajax” or the “Company”) and affiliates of Kelso & Company (“Kelso”) signed a definitive agreement to acquire the Permian Basin assets of W&T Offshore, Inc. (“W&T”). Ajax is a newly-formed oil and gas company established to acquire W&T's Permian Basin assets. Ajax will be led by Executive Chairman Forrest Wylie. Mr. Wylie has 26 years of experience in the energy sector working for public E&P, offshore drilling, energy marketing and midstream businesses, and has served as CEO, Chairman or Board Member for multiple Kelso portfolio companies over the past 12 years. Mr. Wylie is a member of the Kelso Specialist Network. Ajax represents Kelso’s 10th energy transaction with Mr. Wylie.